This stock video features an aerial shot that goes toward a rocky cliff over an ocean. In the background, the sun is setting slowly. 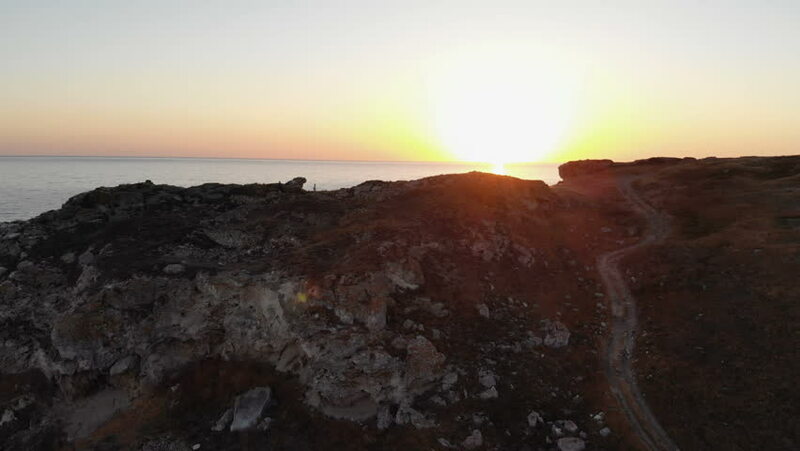 hd00:13This stock video features a seaside scene, where the sun slowly rises and peeks from behind the cliff. The ocean is majestic and gently sweeps ripples onto the seashore. 4k00:10Tilting aerial shot of the reservoir at the foot of Mount Snowdon.